Srdja Popovic was one of the founders and key organizers of the Serbian nonviolent resistance group Otpor! Otpor!’s campaign to unseat Serbian president Slobodan Milosovic found success in October 2000 when hundreds of thousands of protestors converged upon and took over the Serbian Parliament, effectively ending Milosevic’s rule. After the revolution, Popovic served a term as a member of the Serbian National Assembly 2000-2003. In 2003, Popovic and other ex-Otpor! 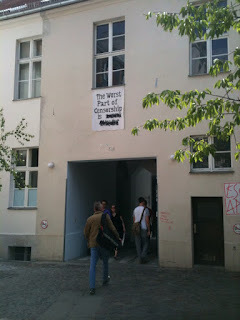 activists started the non-profit educational institution the Centre for Applied Nonviolent Action and Strategies (CANVAS) (www.canvasopedia.org). 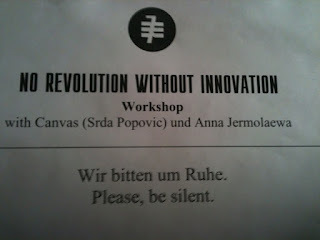 CANVAS has worked with people from 37 different countries, including Zimbabwe, Burma, Iran, and Venezuela, spreading the knowledge on nonviolent strategies and tactics that was used by the Serbian pro-democracy movement to other non-democratic countries. 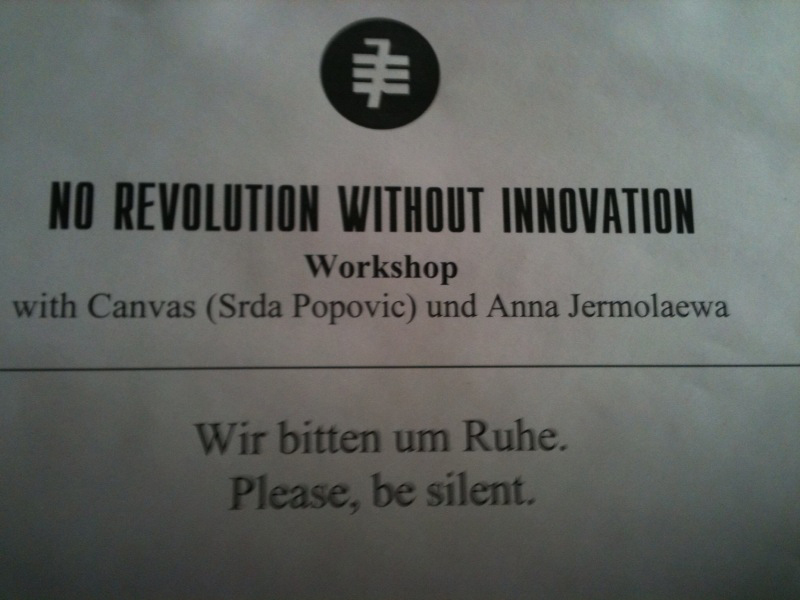 CANVAS has worked with the activists responsible for successful movements such as the Georgian “Rose Revolution” of 2003 and the Ukrainian “Orange Revolution” of 2004-2005. It also transferred knowledge to Lebanese activists in 2004 to address the crisis after the assassination of Prime Minister Harriri, and assisted participants in the Maldives’ revolution in 2008. Recently CANVAS has worked with April 6th, a key group in the Egyptian nonviolent uprising, as well as other groups from the Middle East. CANVAS’ teachings are available in a documentary, "Bringing Down a Dictator," featuring Otpor strategies to topple Milosevic. Its manual "Nonviolent Struggle, 50 Crucial Points" was translated into 16 languages, including Farsi and Arabic, and was downloaded 17,000 times from Iran during that country's 2009 protests. Anna Jermolaewa was brought up in Petrograd (present day Saint Petersburg, Russia). She suffered persecution in 1989 due to her editorial work for the magazine Democratic Opposition. She subsequently left Russia and has since been living and working in Vienna. Her video works, predominantly designed as documentaries, reflect the everyday, allegedly stable dimensions of our reality, and uncover its ambivalent, absurd, and bizarre aspects by employing a variety of filmic devices. In the photographic work Kremlin Doppelgänger, Jermolaewa focuses on the symbol of Russian state power, present all over the world in the press in the form of pompous military parades. The artist displays a copy of history-seeped Red Square in Moscow, namely, the Kremlin Palace Hotel in Antalya, Turkey, which is especially popular among Russian holidaymakers. Here, in nostalgic surroundings, visitors may happily play in the water, sunbathe, enjoy a meal, or shop. In the video of the same name, even Mikhail Gorbachev’s doppelganger appears at the poolside and talks about his life in politics – each morning, the retired engineer stencils his birthmark on his forehead. Jermolaewa initiates a dialog between reality and fiction, between the historic monument and its reproduction full of different content and values. She thus draws attention to the mobility, reinterpretation, and exchangeability of cultural or national ideas and their icons in the age of globalization, and the general fictitiousness of history. Which of the two phenomena is the more ominous, the original symbolic site or its copy, remains a matter of debate. The probability of a democarcy 5 years after -with a violent revolution 5% and with a non violent revolution 41%. Non violent revolution can recruit everyone. Politicians take themselves very seriously, but when mocked they don't know what to do. Those who get info from the internet and those who get info from the state controlled newspapers and tv.